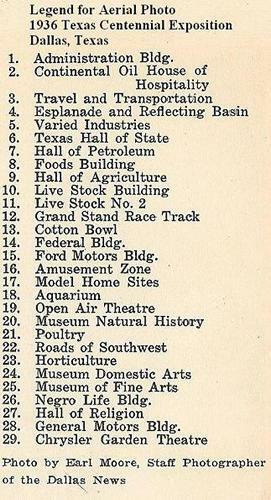 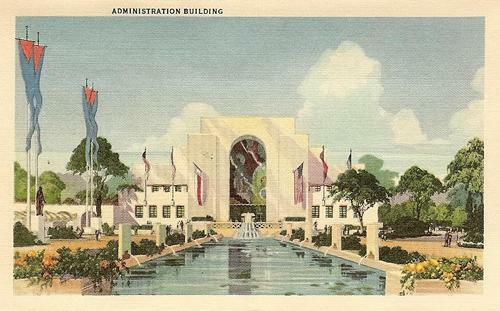 State of Texas Building, Dallas Texas, 1936 Texas Centennial Exposition. 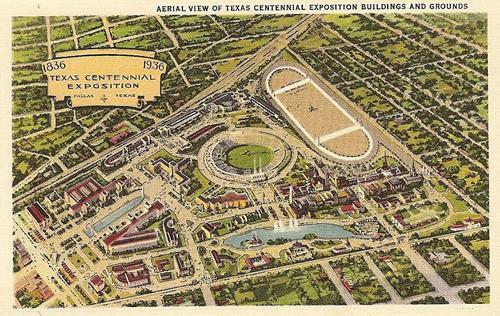 Between then and the opening of the centennial, there was a lot of excitement and enthusiasm mixed with a lot bickering and fighting about what should be where and who would do what, but in the end we ended up with a Texas size celebration that will never be forgotten. 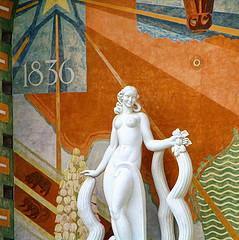 Architectural details tell the story of Texas history in symbolism. 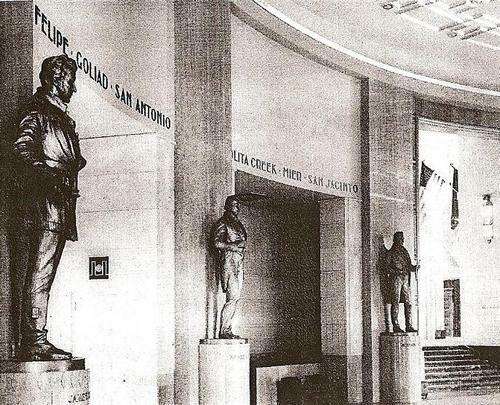 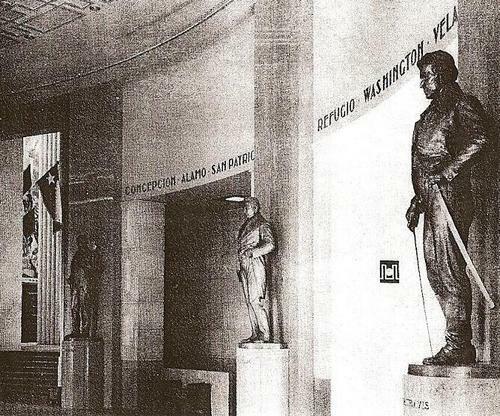 Heroic statues of Fannin, Lamar, Austin, Houston, Rusk, and Travis, executed by Pompeo Coppini, are in the Hall of Heroes. 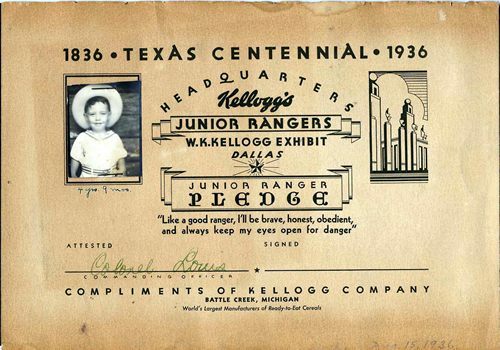 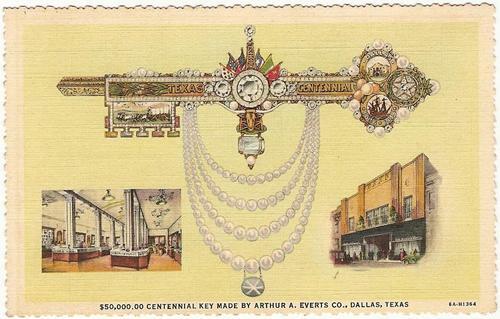 After the Centennial the building was leased by the State of Texas to the City of Dallas, and is operated by the Dallas Historical Society as a museum and library of Texas history. 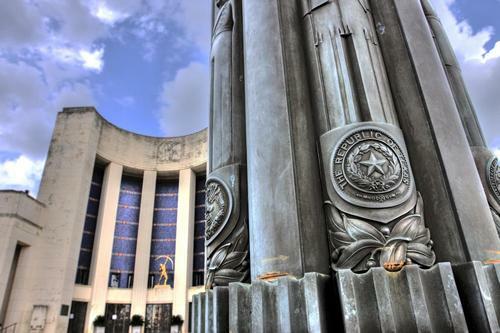 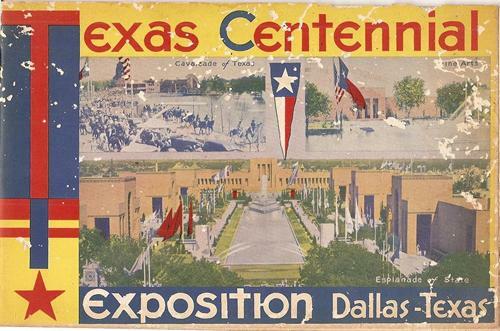 The State of Texas Building is on the grounds of the Dallas State Fair, off Interstate 75 and Lemmon Avenue. 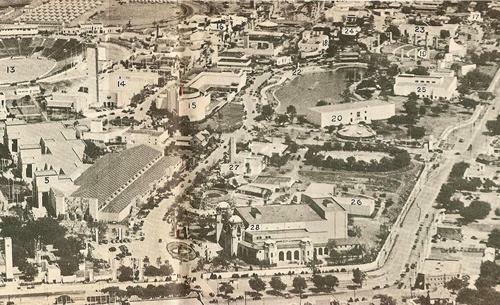 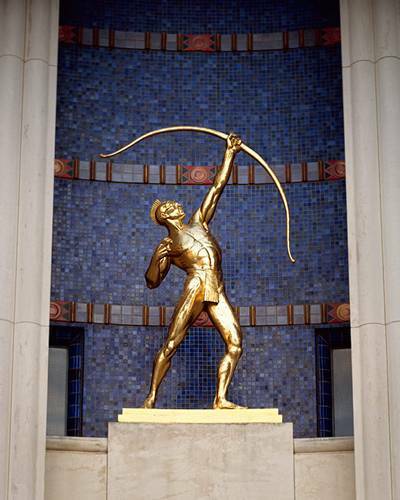 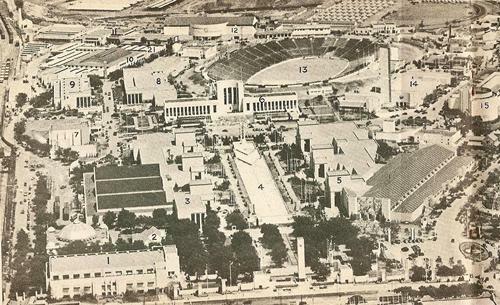 Spirit of the Centennial, 1936, Fair Park, Dallas. 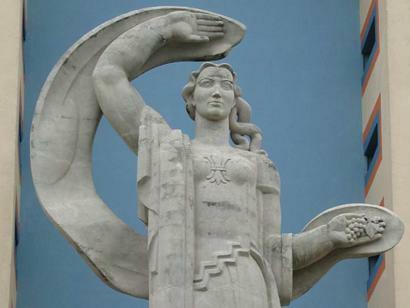 Statue of concrete and plaster carved by Jose Martin. 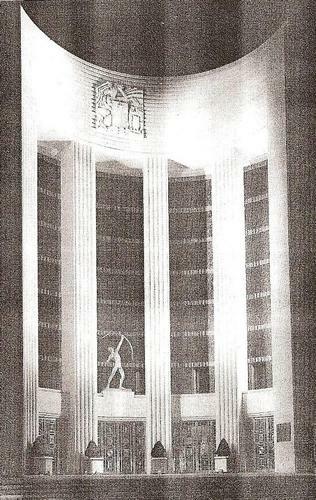 The reflection pool provided by Raoul Josset and Martin.